So: What’s this series of books all about? Let’s face it: online learning isn’t always met with a “rah-rah-rah” cheer of “yeah! Let’s log in and learn!” Why? Because in the early days of “e” (which isn’t that long ago) we as a field didn’t quite necessarily know what we were doing. Post some PowerPoint slides on the web? Voila! E-learning! Upload a PDF document on your corporate intranet? Voila! E-learning! Record the 8-hour instructor-led course and plop it on the Web? Voila! E-learning! Well that didn’t do the “e” cause (nor the learners) much good, causing both corporate and academic worlds to be a bit fearful of Web-based training. Ask any employee or college student to take an online course and what is usually their response? Exactly. 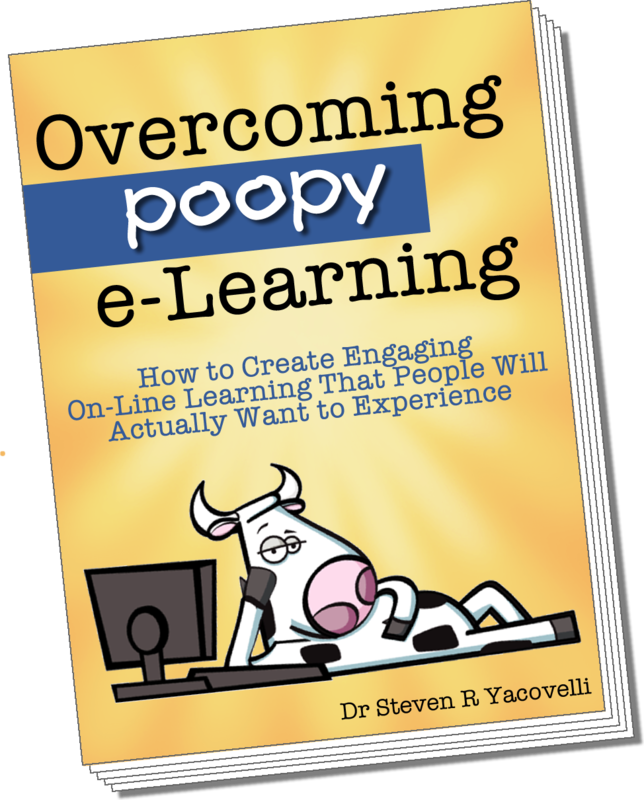 While some folks are awesome at creating engaging, captivating online instruction, for every one great course there seems to be 1,000 “not so good” examples of e-learning. And all of this bad stuff gives those “good ones” – and the field in general – a bad rap. Steve is Owner & Principal of TopDog Learning Group, LLC, a human learning and performance consulting firm based in Orlando, FL, USA.